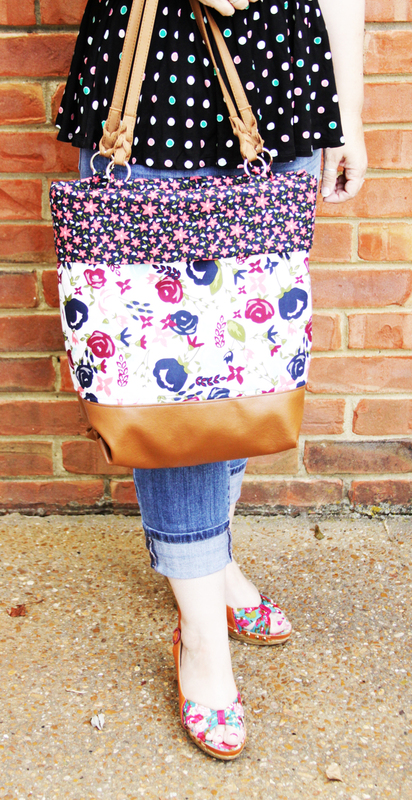 Summer is the perfect time for a new tote bag! You have all those trips to the pool, vacations and ice cream runs – so a new bag is just what you need to hold all your summer essentials. 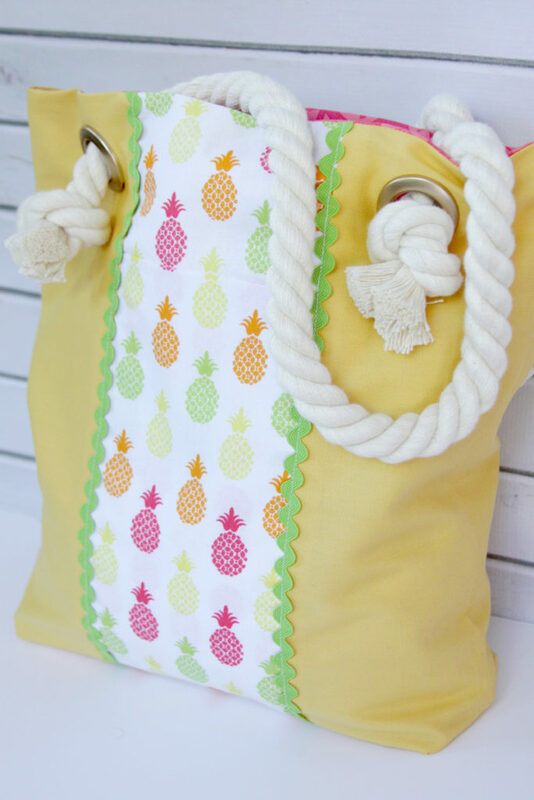 This cute simple summer tote bag is so easy to sew up and has all kinds of pockets for holding your keys and phone. 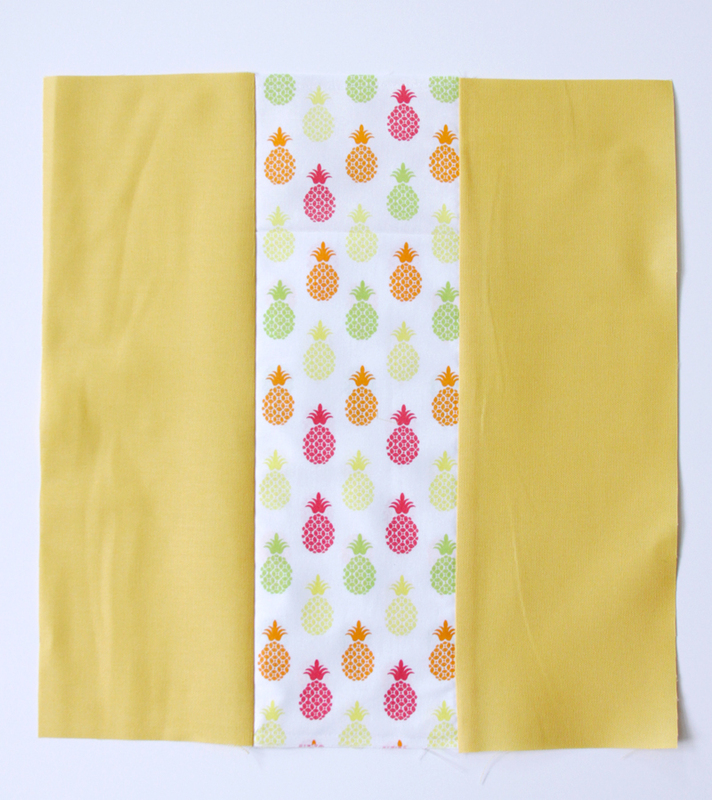 You can really dress it up with different fabrics too, but I just love these pineapples – they are so fun and summery! 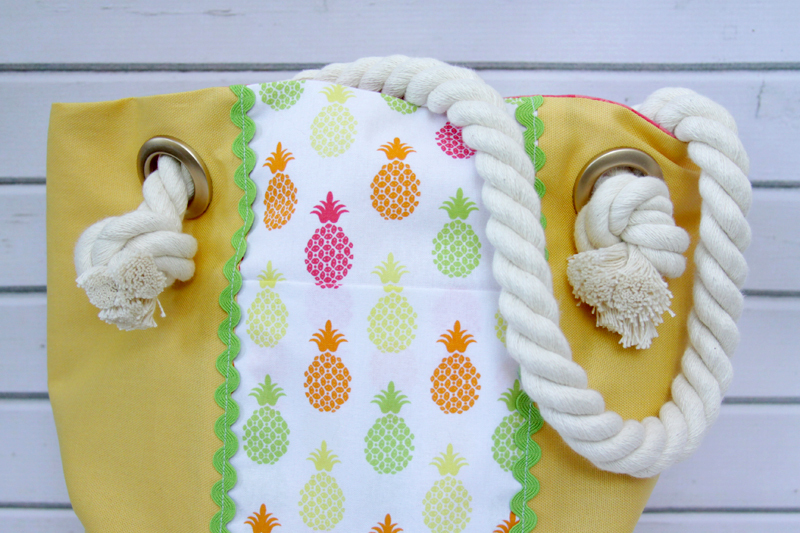 The bag is super easy to finish off with these big cotton rope handles – they give the bag such a nautical look I think! 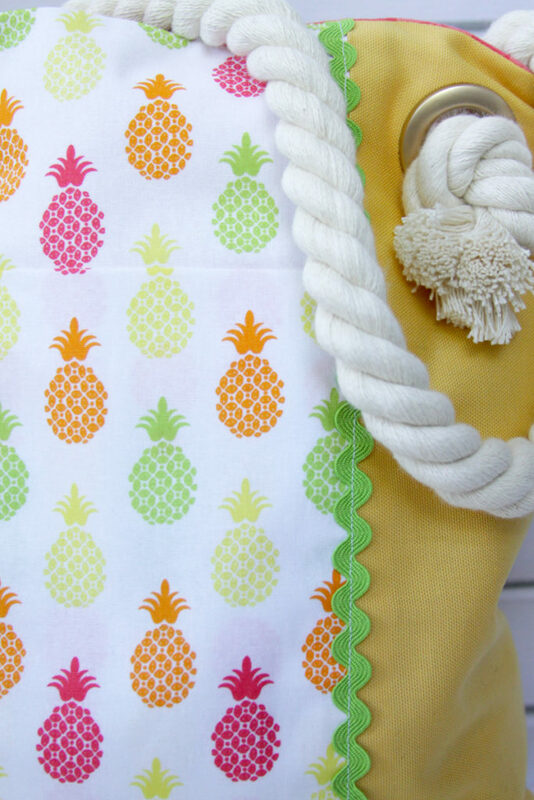 Here’s what you need to make this Easy Summer Pineapple Tote Bag! Begin by cutting your fabric out. 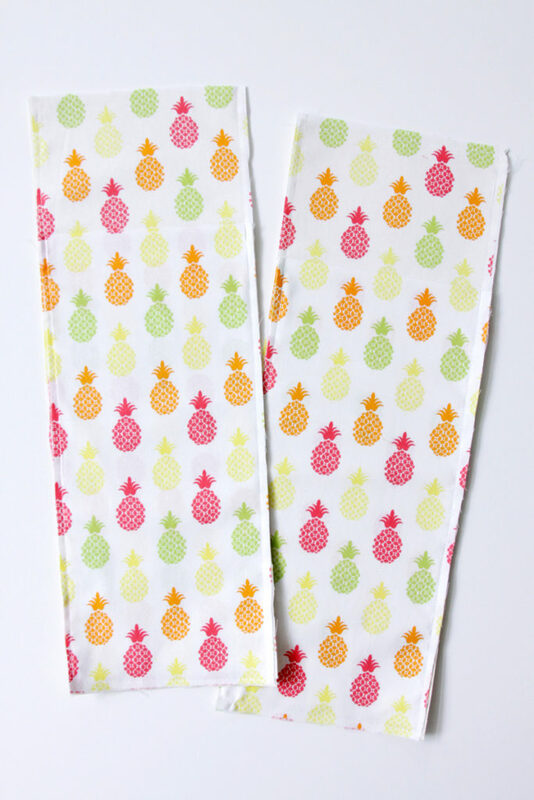 You’ll need to cut from your outer fabric: 4 pieces 17″ x 6″ and 1 piece 10″ x 4 1/2″. 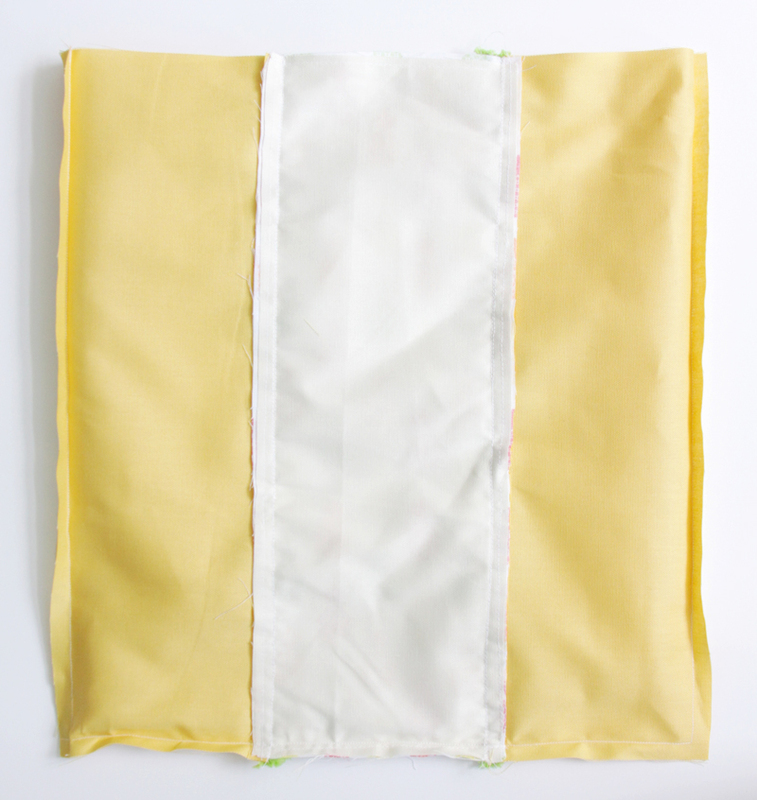 Cut from the light outer fabric 2 pieces 17″ x 6″. 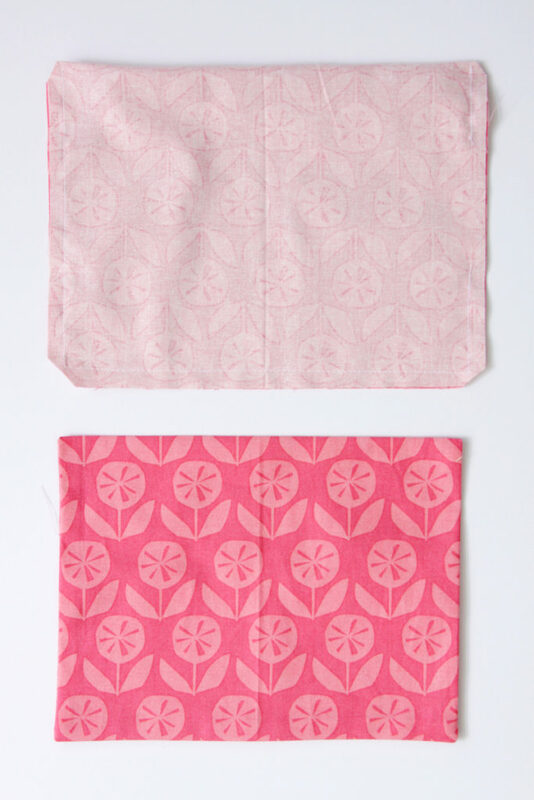 Cut from the decorative fabric 2 pieces 17″ x 6″ and 2 pieces 24″ x 6″. 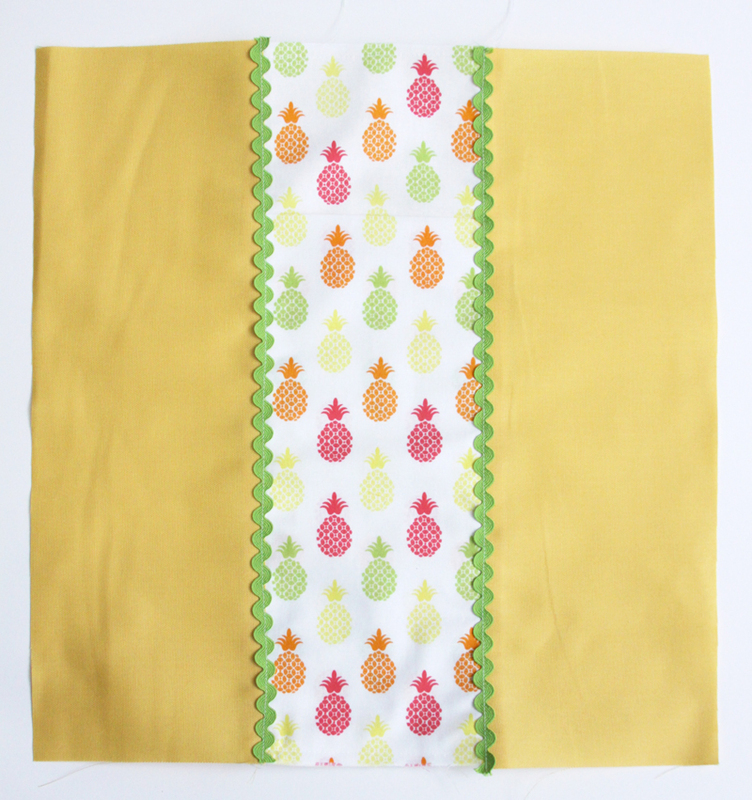 Cut from the lining fabric 2 pieces 17″ x 16 1/2″ and 2 pieces 9″ x 10″. 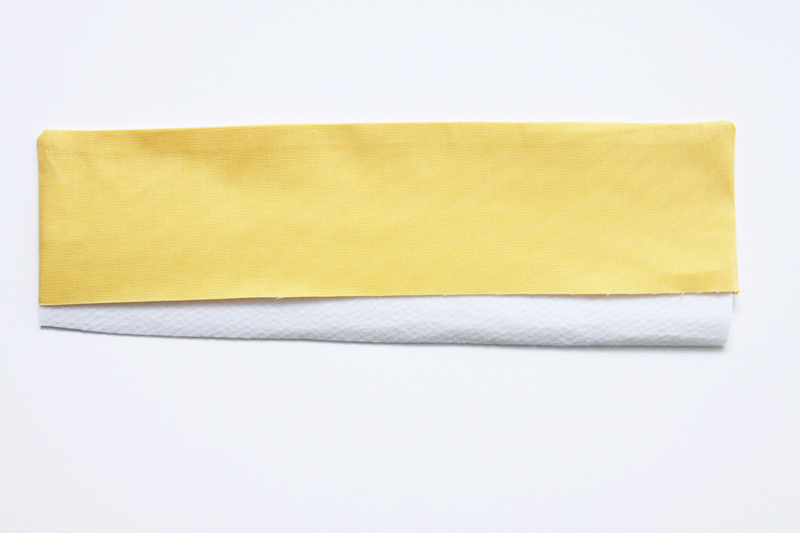 Cut from the heavyweight interfacing 1 piece, 9″ x 3 1/2″. Place the 17″ x 6″ piece of decorative fabric over the 17″ x 6″ heavyweight fabric pieces. 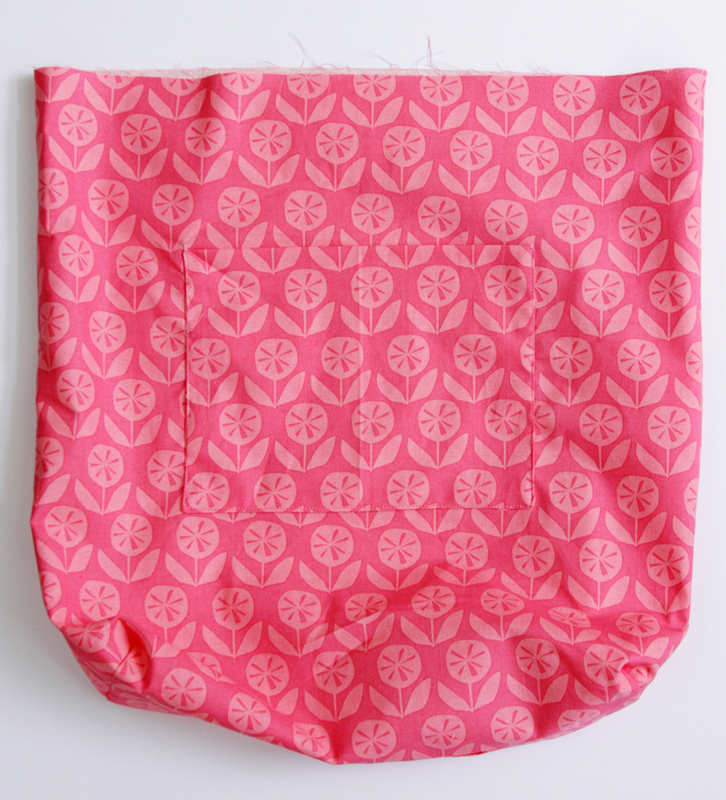 Fold the 24″ x 6″ piece of decorative fabric in half. Line up the bottom raw edges and the sides of the rectangles. Baste all the edges down with a 1/4″ seam allowance. Repeat for the other decorative front panel. 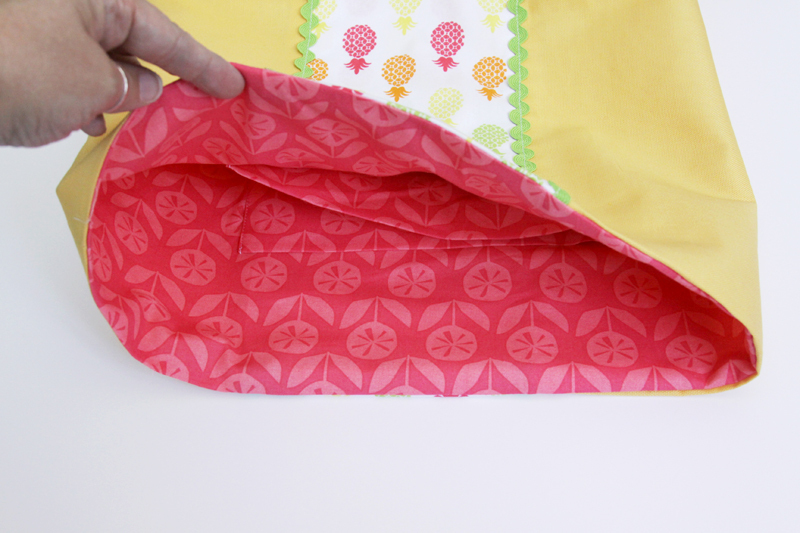 Sew a side panel piece on each side of the center panels with a 1/2″ seam allowance. Lay rick rack over the seam and sew in place down the center of the rick rack. Place the two outside panels with the right sides together. 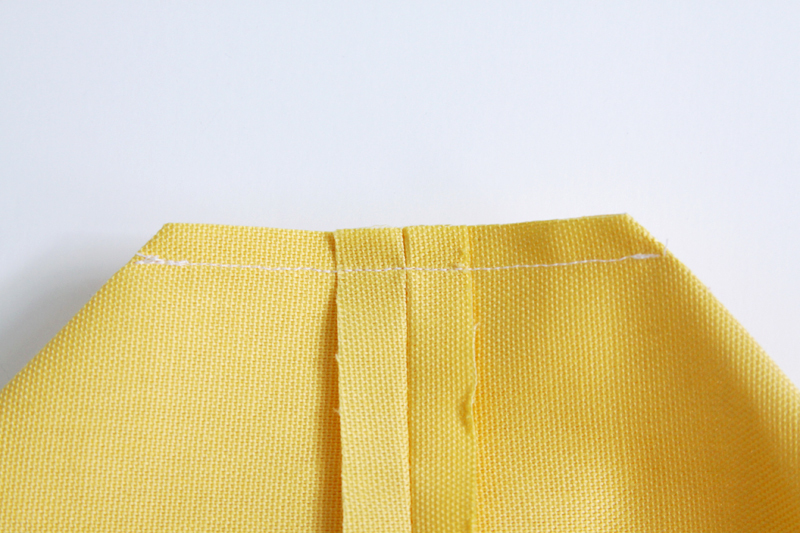 Sew the sides and bottom seams with a 1/2″ seam allowance. To make the corners, bring the side seam of one side down to meet the bottom seam, forming a triangle with the corner of the bag as the point. 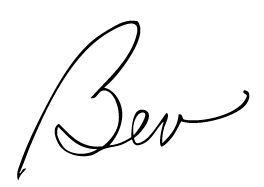 Measure down from the point and mark a line across the corner 3 1/2″ long. Sew across the corner on the marked line. Trim off the corner of the bag. Repeat for the other corner. 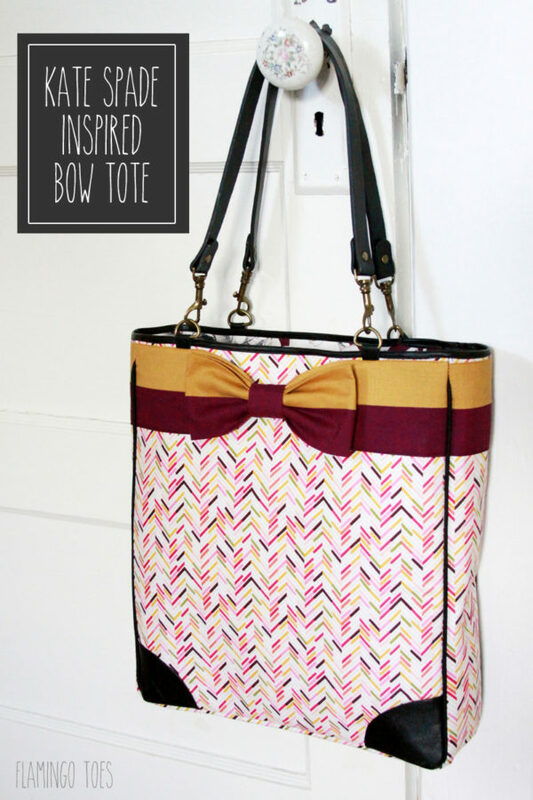 Create an insert for the bottom of the bag by stitching the two 4 1/2″ x 10″ pieces right sides together on the two short sides and one long side. Turn right side out. Tuck the heavyweight interfacing inside. Fold the open edges in and sew along the opening to close the seam. Place the insert into the bottom of the bag. 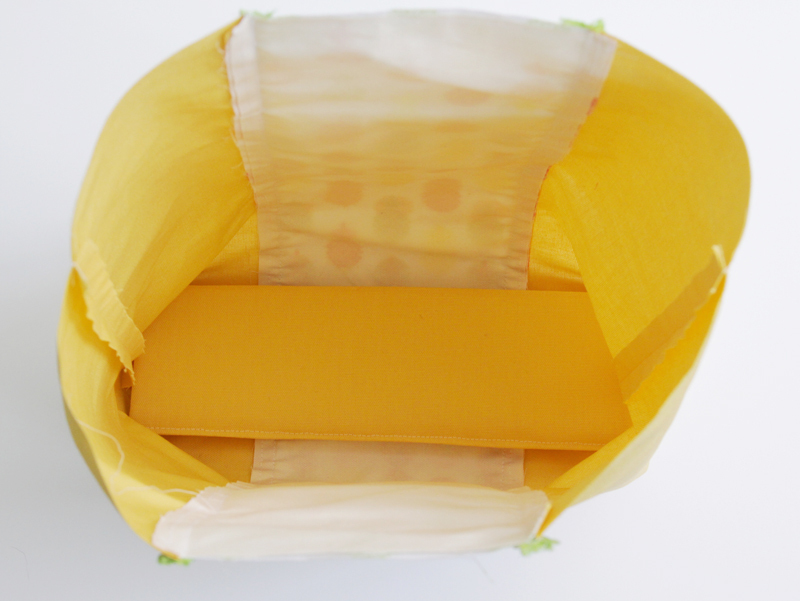 For the pockets, fold each of the 9″ x 10″ pieces in half and sew around the three sides. Leave an opening on one side for turning. Clip the corners, then turn right side out and press. 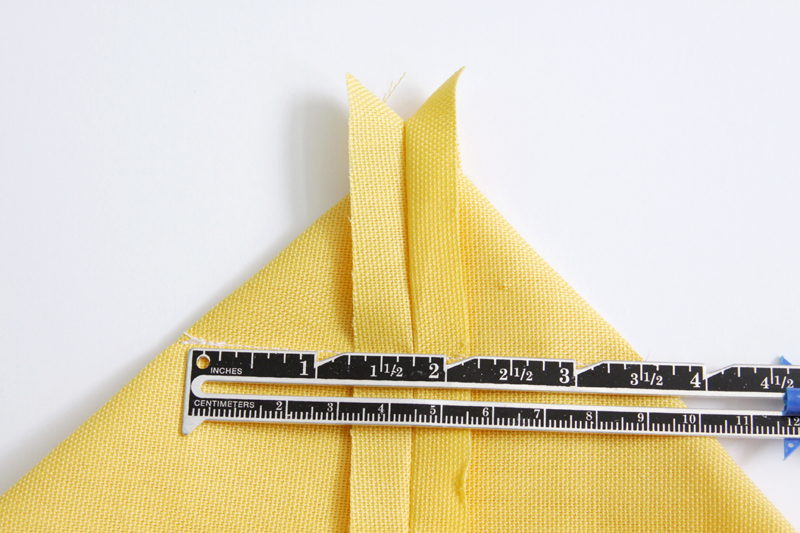 Measure 4″ down from the top of your lining piece and center the pocket. Sew around the sides and bottom of the pockets, one on each lining piece. Sew the lining together the way you did the outer fabric, but leave an opening for turning in the bottom of the lining 4″ long. 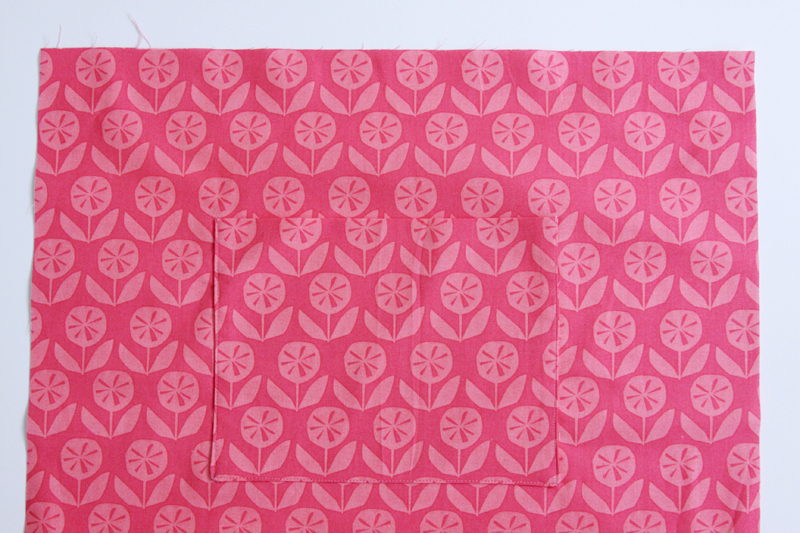 Turn the lining right side in, then tuck the outer section of the bag inside the lining. The right sides should be facing each other. Line up the seams and sew around the top edge of the bag. Turn the bag right side out through the opening in the lining, then hand sew that opening closed. Tuck the lining into the bag and press the edges. 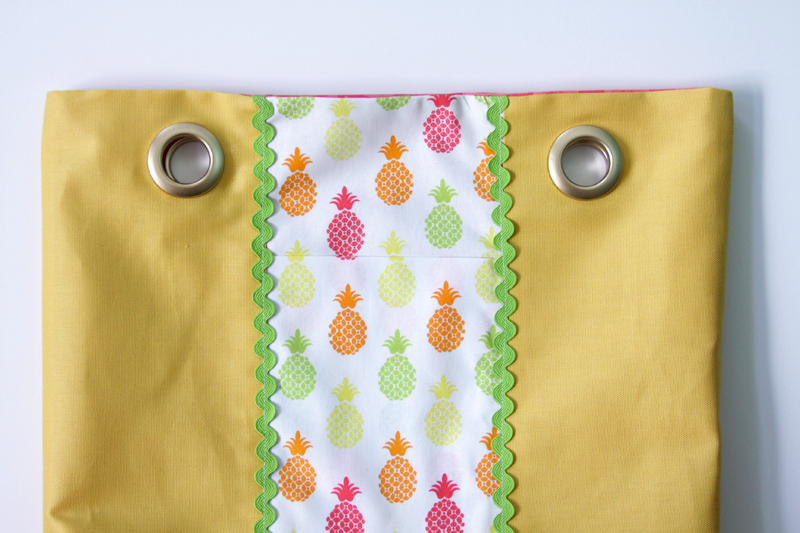 Add your grommets to the bag, 3 1/4″ from each side seam. 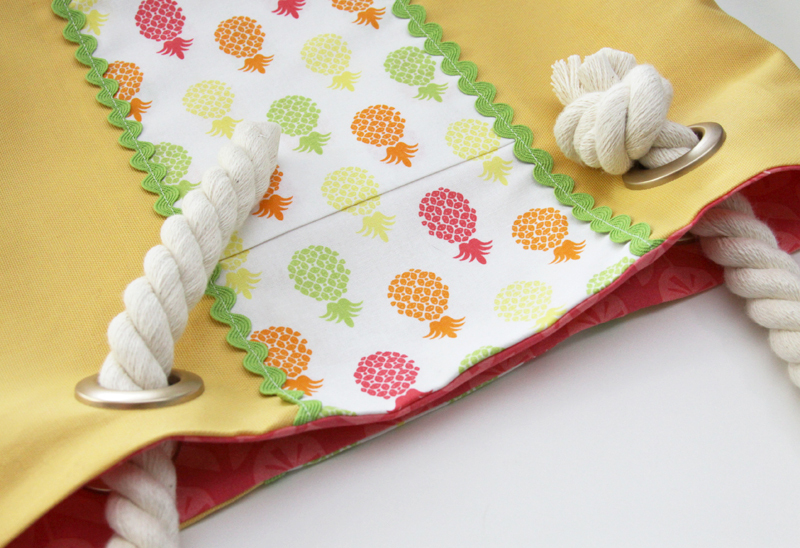 Head over to this post for detailed instructions on How to Add Grommets to a Tote Bag! Cut two lengths of rope, each 1 yard long. 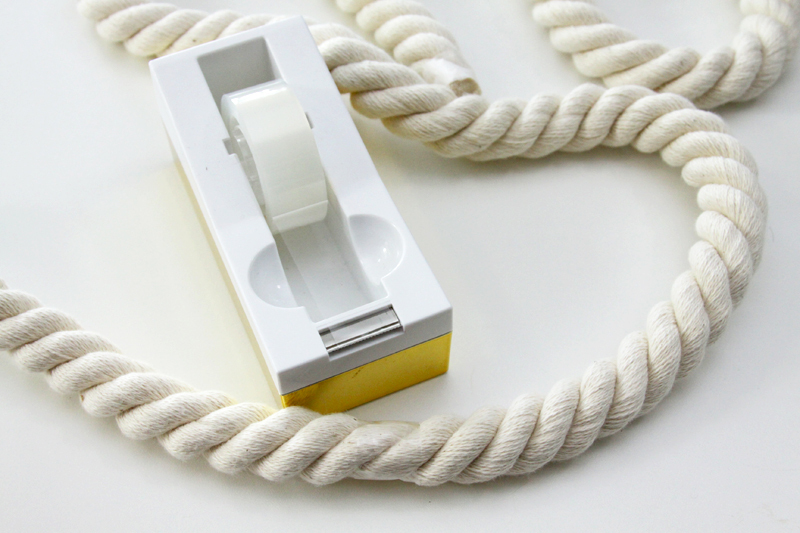 Before cutting the rope, wrap it with a strip of clear tape. This will keep your rope from fraying. Thread the rope through the grommets and tie a knot on each end, pulling the knot as tight as you can. Remove the tape and repeat for the other side of the bag. That’s it! 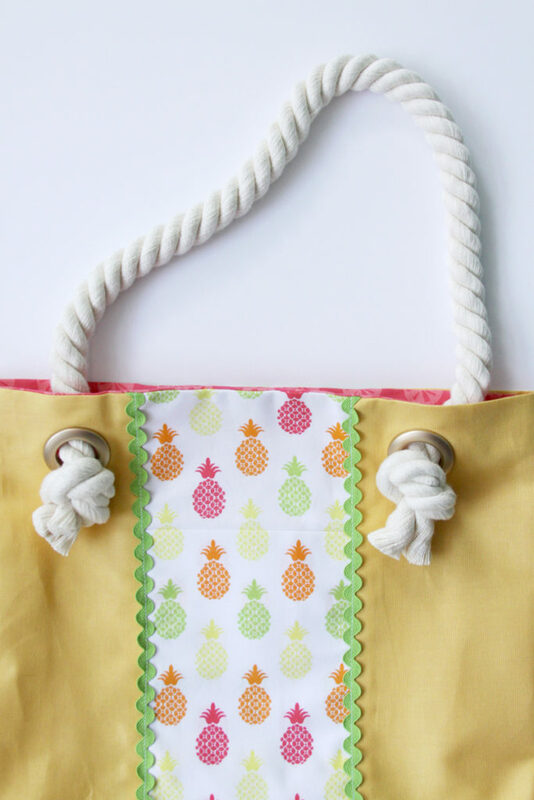 You have a cute new simple summer tote bag, all set for summer adventures! Isn’t it fun? I think it would be perfect for a trip to the beach or pool! Oh what a cute bag. I love the bulky rope. So fun! Thank you for sharing on Merry Monday! Have a great week! This is absolutely perfect for summertime! 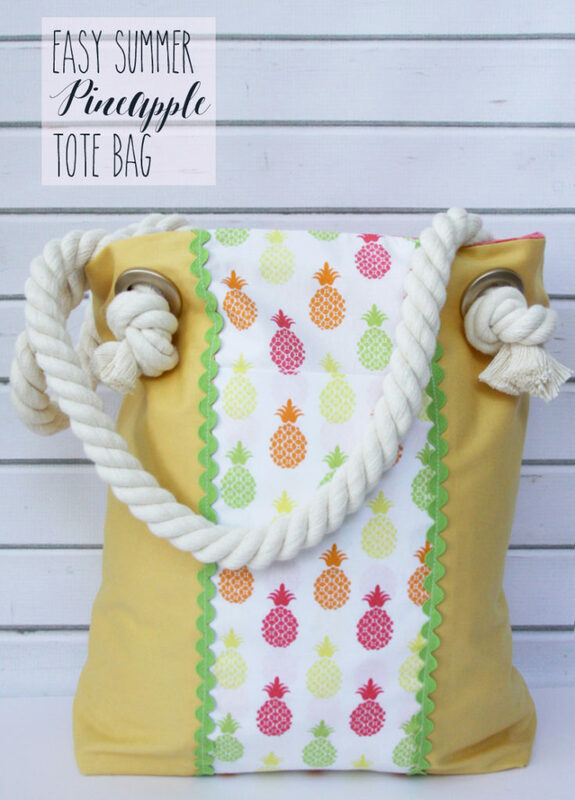 I love the pineapple pattern :) Thanks for linking up with Merry Monday – I’m featuring your tote at our upcoming party this week. I hope you’ll stop by and link up with us again! 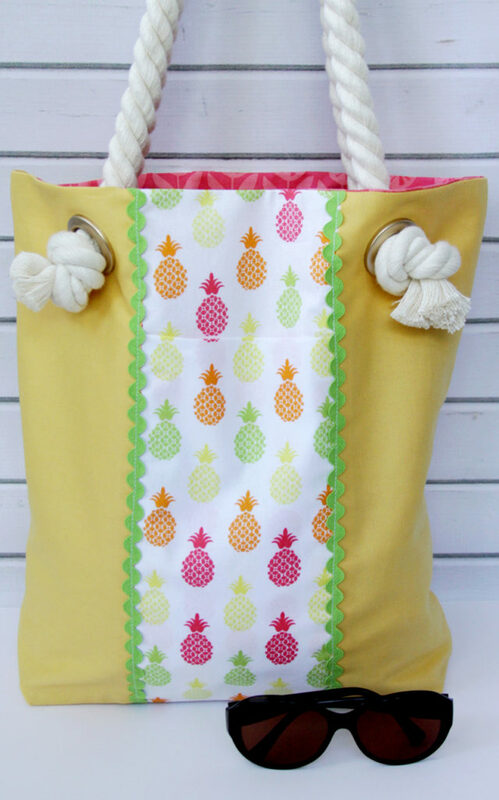 Super cute summer tote. Thanks for sharing at the #InspirationSpotlight party @DearCreatives Pinned & shared.